FOCA is the Federation of Ontario Cottagers’ Associations, a not-for-profit organization representing volunteer associations and individual property owners all across Ontario. We are your provincial voice. FOCA envisions thriving and sustainable waterfronts across Ontario, now and for future generations. Read about our recent accomplishments, in our 2018 Year in Review. 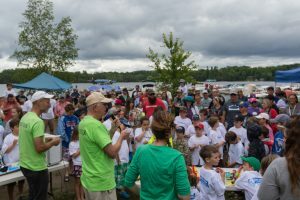 As the pre-eminent Ontario organization, FOCA serves and represents lake associations, waterfront property owners (WPO) and waterfront communities through education, communication and government advocacy. FOCA advocates for healthy lakes and rivers, and is the voice for Ontario’s 250,000+ waterfront property owners. strengthen partnerships with non-waterfront and rural residents concerned and affected by waterfront and related environmental factors. FOCA operates under a governance board structure, and directs strategic priorities through a number of Committees that report to the Board of Directors. For more about the Staff and Board, see: Our Team. on the Provincial Policy Statement Review – Northern and Rural Working Group, to ensure waterfront interests were considered in drafting the new PPS 2014.